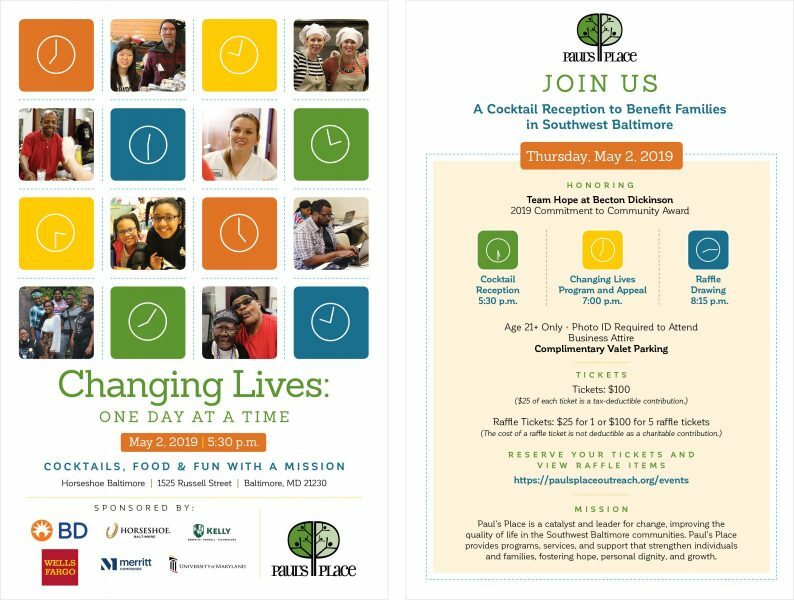 Cocktails, Food & Fun with a Mission - Paul's Place Inc.Paul's Place Inc.
Join us on Thursday, May 2 from 5:30 p.m. to 8:30 p.m. at Horseshoe Baltimore (1525 Russell Street) for Cocktails, Food & Fun with a Mission, a fundraising event to benefit families in Southwest Baltimore. Enjoy an evening with friends. Make new connections. Sample delicious cocktails and hors d’oeuvres. Be inspired by how Paul’s Place is Changing Lives: One Day at a Time. Sponsorships are available starting at $2,500 and include tickets to the event and marketing benefits. Learn more and join us as a sponsor. Tickets for Cocktails, Food & Fun with a Mission are $100 each, and $25 of each ticket is a tax-deductible contribution. Purchase raffle tickets here.